The 1U rackmount SansAmp RBI is a pumped-up, expanded version of our popular SansAmp Bass Driver DI pedal. In addition to Drive, Presence, and active Bass and Treble controls, the SansAmp RBI has a dedicated Mid control and an XLR Output Level control for optimum performance with PA systems. 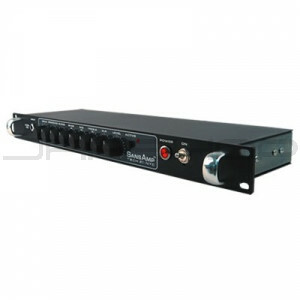 It also features an Effect Loop with a Mix 50/50 switch (for parallel or series operation), an XLR output with selectable levels, and a buffered direct XLR output to provide a dry signal. Include access to the most coveted classic and modern bass tones, with unlimited freedom to create your own, and the SansAmp RBI is practically mandatory for any bass player. Mix 50/50 switch to configure the Effects Loop in series or parallel.